from “The Twelve Caesars”, Suetonius, AD 121. Augustus was emperor for 57 years, beginning after Julius Caesar’s assassination by the Senate on the Ides of March in 43 BC all the way through 14 AD. In his time, the city of Rome had over a million inhabitants and the Empire was home to over 60 million people. …. 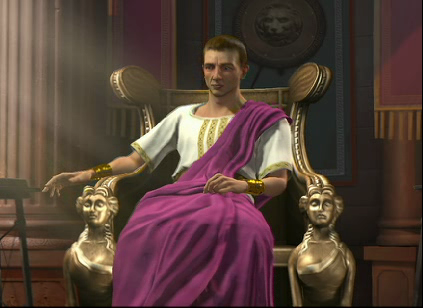 and the mighty Emperor of all Rome was trapped by the power wielded by politicians giving away free stuff. He didn’t like doing it, felt it harmed productivity and independence and future generations, but.. he knew if he didn’t do it, someone else would do it to get votes and public support, and it would be support for Caesar’s opposition because Caesar was against the dole. So… Caesar continued the dole. He had to live with politics, because his uncle’s death showed that power-sharing was necessary to avoid being murdered by politicians jealous of your power. Status quo, lesser of two evils. The dole continued. As Admiral Akhbar says in Star Wars, “IT’S A TRAP”. Caesar was a beltway Republican in a world defined by Democrats. He HAD to continue the dole, or it would be turned into a weapon against him that he could not defeat. “There is nothing new under the sun.” — Solomon. We can learn so much from history. Sadly, most do not know how to apply that knowledge. The correct pronunciation of the German “vorwärts”” (“forward”) is “forverts”, with the accent on the “o”, as exemplified by the Yiddish spelling of the word.